What a wonderful day at Orphans of the Storm®! I took out three loving dogs who are far too cuddly to stay at the shelter for long. 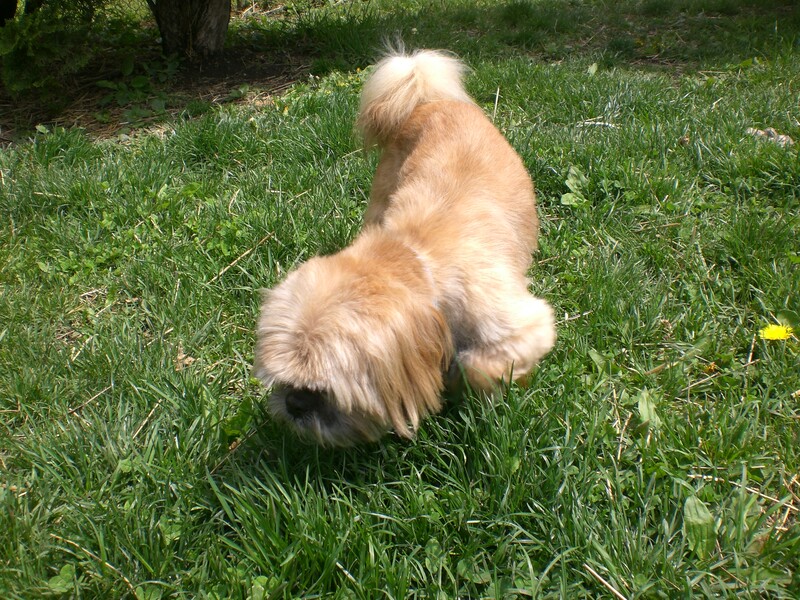 First was Keno, an eight-year-old Lhasa Apso mix. If you’re looking for an adorable little face and an adorable little tail on an adorable little dog, then Keno might be the perfect fit for you. 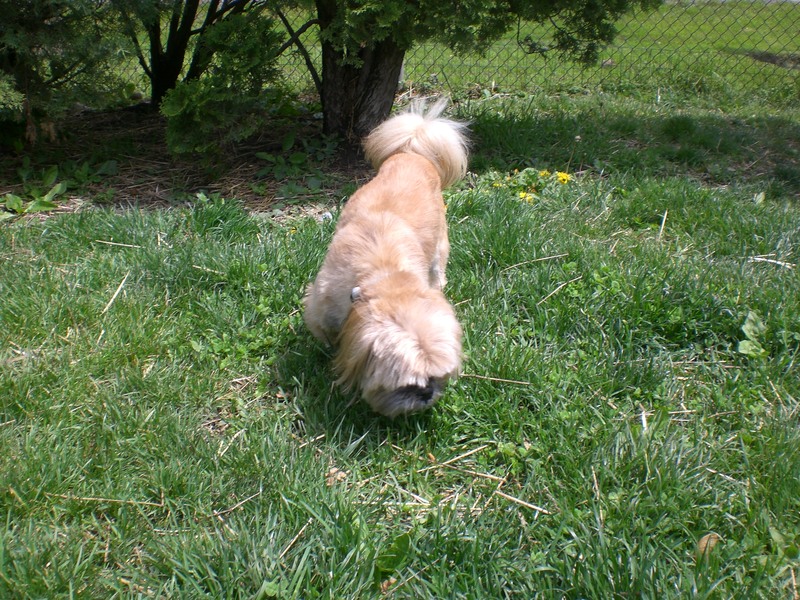 Although Lhasa Apsos might seem like a high-maintenance breed when you see them at dog shows, non-show dogs don’t need to have that floor-length fur and little bow at the top of their head. Keno’s short fur is so soft! Keno knows he’s a good-looking dog. He pranced around the run with his head held high. 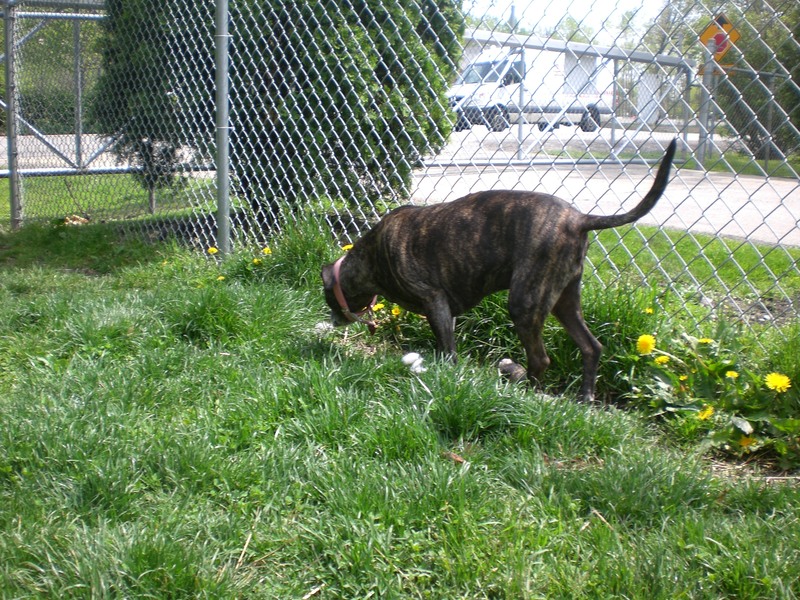 Even so, he didn’t mind going under the bushes in search of a fun scent to follow. I would kneel down to his level, hold my arms wide open, and call him over. He came trotting towards me with his little pink tongue sticking out of his mouth and stood right next to me while I pet his back, chin, and ears. When it was time for Keno to go back inside his cage in the front office, he let me pick him up and put him in there with no complaints. 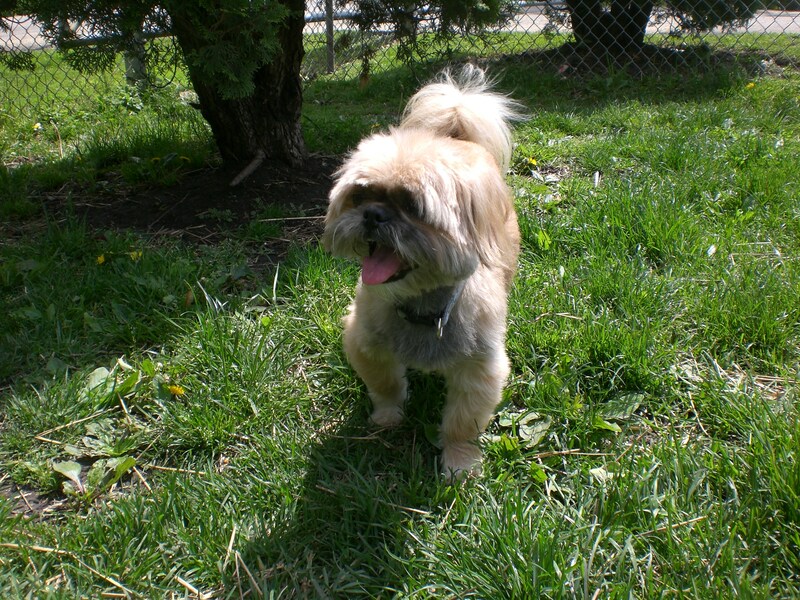 This little cutie will make a wonderful lapdog for those who are looking for an older, calmer sweetheart of a dog. 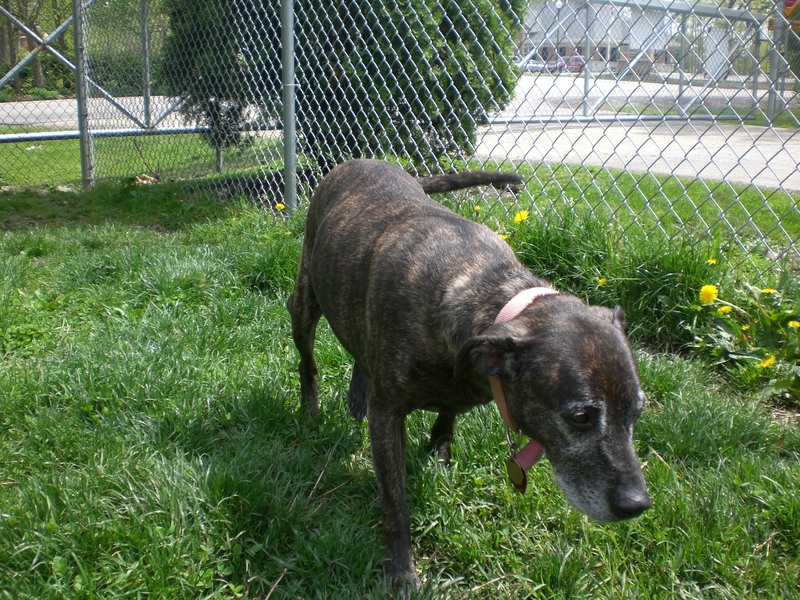 Next was Zoe, a six-year-old Mountain Cur mix. 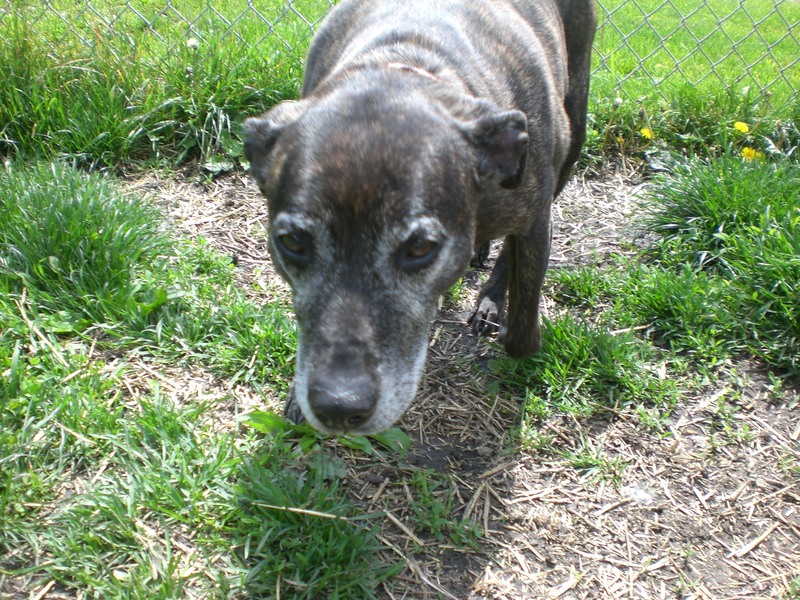 Poor Zoe–her original owner passed away and no one was left to take care of her. 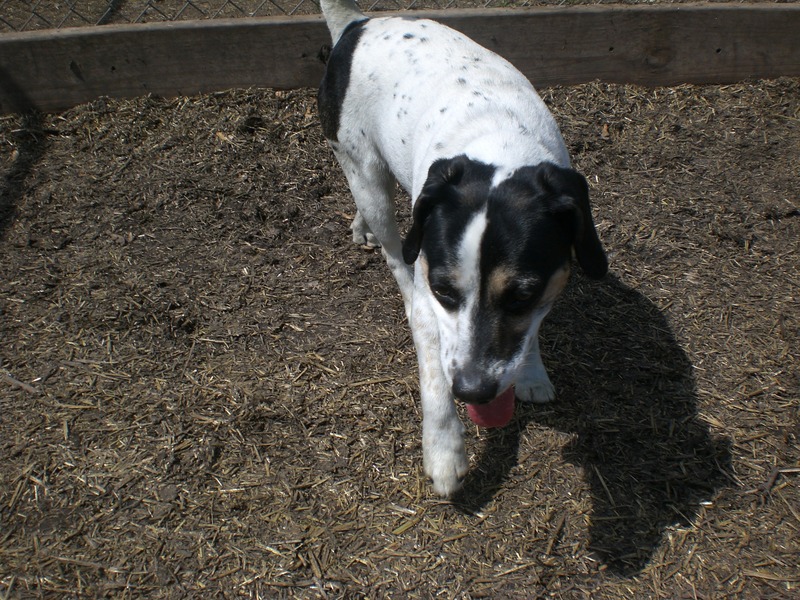 But because she has all those years of experience as a family pet, she will make a great companion dog to whoever is lucky enough to adopt her! Her back legs are a little stiff, but she gets around just fine. She walked well on the leash and enjoyed exploring the run. She loved coming over to me for a reassuring pat in between sniffs. Since Zoe was a pet, she knows a few commands. She would come over to me when I called her name, and also knows how to sit. When she sat for me, I sat down too and started to pet her. It was getting a little warm in the bright sunlight, though, so I moved us over to the shady spot by the bench and she laid by my feet, where I continued to scratch her back and ears. She has a tickly spot on the left side of the neck, right under her ear, and kicked her back leg whenever I scratched there. This sweetie is ready to curl up next to her new loving owner! 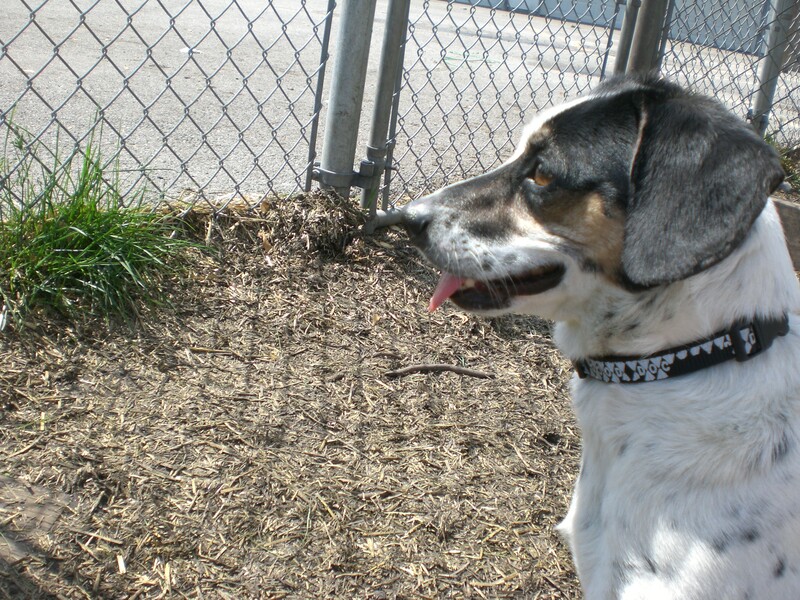 Last but not least was Lincoln, yet another Beagle mix. This three-year-old has a stately name for a stately little dog. He was barking excitedly when he saw me approach with the leash, but once we were inside the run he settled down. Lincoln smiles! I wish I had been able to capture it in a picture, because it is one of the cutest things I have ever seen. He put his front paws in my lap, opened his mouth with his tongue hanging out the side, and closed his eyes halfway. It was totally a smile. And then he covered my face in doggy kisses because he’s such a lovable, happy pup. We went through this routine a few times during our time together. Lincoln, being part Beagle, loves to sniff and find interesting smells. He smelled something in the grass and started rolling in it with his little legs kicking the air. Luckily, he didn’t come up with any grass stains on his mostly-white fur. Take him out to one of the off-leash runs to get to know him yourself–he’ll make you smile, and you can make him smile too! 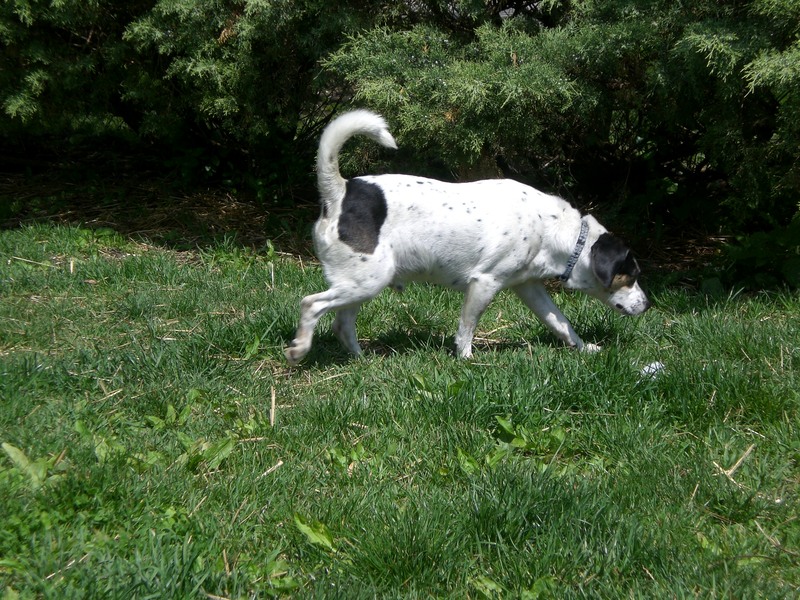 Posted by Meet the Pooches on May 5, 2012 in Dog Profiles and tagged adoption, animal shelter, Beagle, Chicago, dogs, Lhasa Apso, Mountain Cur, Orphans of the Storm, pets. This is just the best! Thank you Amy for taking time for each animal. Thank you for reading! Visiting the shelter and spending time with the dogs is the highlight of my week! Amy sure knows how to pick em! Zoe is a very special girl!